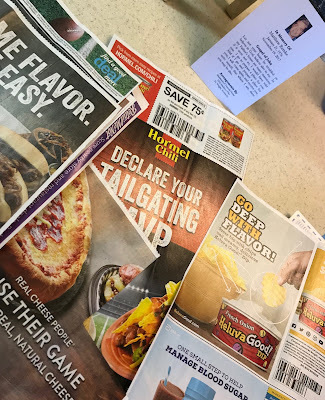 I was cutting coupons today when I noticed how all the manufacturers are selling the Superbowl foods pretty hard right now. Hot dogs, chips, salsas and dips—they made my mouth water, but also my mind wander. It traveled back to Superbowl 2003 when my husband and I were only married a couple months. We went to a party with a bunch of other young and innocent 20-somethings who only had football, beer and chili on their minds for a day. I remember he laughed with his friends, ate tons of chili, drank booze, bet on the game—basically just enjoyed life that day. He and the guys even went outside for an impromptu football toss in the snow. I remember feeling a little slighted that he was doing all that instead of really paying attention to me. He didn't really "check on me" to see if I was having fun. He didn't bring me a drink or ask if I wanted chips. I don't know if I was pouty toward him that night—probably, because everything was about ME back then, you know. My perspective has obviously changed over the years. I suppose it's a damn shame it's too late now. Early February usually means a lot of sarcastic lamenting on social media from wives whose husbands will be preoccupied with the game, with the guys, with food. We'll see the silly memes and read the Twitter jokes about that age-old Superbowl husband and wife dynamic. I'm all for jokes—we were that couple too. But if I could make just one request this Superbowl Sunday to all those wives/partners out there, please hear me out. Let him drink beer. Let him shove pizza in his face and laugh with the guys. Let him be present with his friends for the length of that game. Watch him, too—but not with glaring or resentful eyes—and really see him. Don't see him as having "more fun" than you or not doing his household share or not playing with the kids. See the gift that is HIM, being here. Being alive. The ability to eat, drink, laugh and be present here, right now, are unexplainable gifts. Cherish the beauty in that stubble on his face that you get to kiss on later. Smile at the greatness of his dad bod—even if his is a belly that has ingested too many Doritos, because believe it or not, you are lucky you get to snuggle it later. Listen to and enjoy his laughter. Look and really see the person you are fortunate enough to share life with and have next to you, warm in bed each night. Acknowledging the realness of your partner, flaws and all, will probably make you a more grateful, happier person. A person who won't have any regrets, especially when he's no longer here. Regrets like how you wished you had just one more Superbowl to soak in everything that made him HIM. 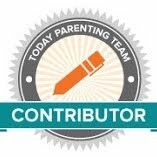 This post was also published Feb. 3, 2018 at Perfection Pending by Meredith Ethington. I just came across you blog today that a friend had posted on Facebook. Cancer took my wife away a year ago, and she was too young,(46). 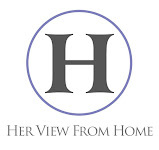 The past year has been one of grieving and adapting for myself and my two sons (14 and 18). Reading through your blogs I see a lot of similarities in what we have gone through. This one hit home with me. I hear friends complaining about the little things that bother them about their wives. I think to myself, "at least you have your wife around to complain about..." I would give anything to experience those little annoyances again. And now we are surrounded by all things Valentine's day. Another holiday that now is just another painful reminder of what used to be a day of very fun memories. We have completed our year of "firsts". I hope for the best for you and your family in the upcoming year. Thanks very much - I’m glad you took something from it.